"Heart attacks, or myocardial infarction, is a leading cause of morbidity and mortality worldwide," said UTA bioengineering professor Yi Hong, who is leading the research project. "We are working on a new biodegradable and bioactive hydrogel material that could be injected into the heart to promote cardiac repair after a heart attack." Recent research has shown that the injection of a hydrogel derived from heart tissue with the cells removed can promote the development of new heart muscle cells and also help restore heart function. This scaffold material is called the extracellular matrix. 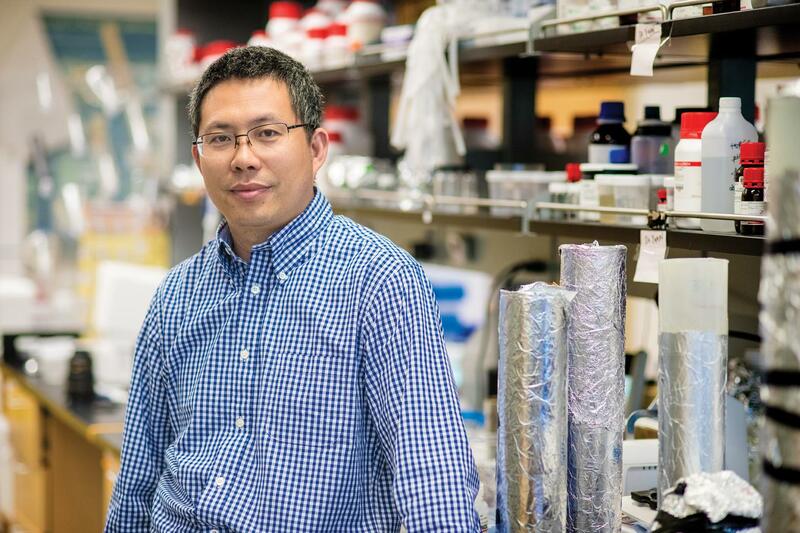 "My collaborators and I aim to take this one step further and develop a blended injectable biogel that combines the scaffolding and repair properties of the extracellular matrix with nanoparticle-based drug delivery technologies," Hong said. "Our projected outcome is to significantly increase the recruitment of stem cells to the heart, accelerate cardiac repair and improve cardiac function after a heart attack." Hong is collaborating with UTA bioengineering professor Kytai Nguyen and UTA bioengineering associate professor Jun Liao, as well as Ge Zhang, associate professor of biomedical engineering at the University of Akron. Michael Cho, UTA's chair of bioengineering, congratulated Hong and the team on attaining this highly competitive grant. "Dr. Hong's research in biomaterials and especially biogels is positioning UTA at the forefront of this burgeoning field," Cho said. "This new project will provide a platform for cross-institutional collaboration in Dallas-Fort Worth area and strengthen our position even further in biomedical engineering research and potential clinical applications." Earlier this year, Hong developed a highly elastic biodegradable hydrogel for bioprinting materials that mimic natural human soft tissues. Bioprinting uses live cells within the scaffolding of the new tissues and could potentially transform cell printing. A provisional patent application has been filed on this new elastic material, which will be able to generate multiple types of human soft tissues, including skin, skeletal muscles, blood vessels and heart muscles.